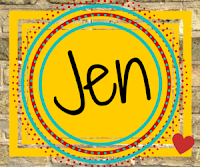 Hooray for another middle grade novel in verse to read, love, and share with kid readers! Today I'm interviewing Shari Green, the author of Root Beer Candy and Other Miracles. Written in light and lyrical free verse, Shari Green's warm and wistful novel brings Bailey face to face with both hard and beautiful truths about growing up and growing into her own ability to shape the world. And now, Shari was kind enough to answer some questions to share here! TMT: Can you start by telling us a little bit about you and your new book, Root Beer Candy and Other Miracles? TMT: Root Beer Candy and Other Miracles is a novel in verse. Can you talk about experiences writing poetry and how you decided this book worked best as a novel in verse? The book actually didn’t start out in verse, but after several false starts, I switched from prose to free verse and it suddenly clicked. My prose tends to be lean and somewhat lyrical, so the transition to verse felt very natural. A couple things confirmed for me that Root Beer Candy would work best in verse—first and foremost, hearing Bailey’s voice so clearly when I began to write in verse. As I continued to write, I became aware of other reasons verse was right for this one: it freed me to use imagery and word choices to weave the setting all through the story, and to use white space to encourage readers to ponder the story’s ambiguities and unanswered-questions. Annie Dillard said “follow your own weirdness”, and that idea helped me learn to trust my gut, to tell the stories I want to tell without self-censoring the ideas before they ever get off the ground. I’d pass that on to student writers, along with this simple keep-moving-forward advice: create something, send it out into the world, create something else. Like Water on Stone, by Dana Walrath. A verse novel about three siblings during the Armenian genocide – compelling, tragic, powerful. Going for a Sea Bath, by Andreé Poulin. A delightful picture book – silly, fun, and perfect for ocean-lovers like me. Hour of the Bees, by Lindsay Eagar. A beautiful story of family and reclaiming one’s roots – told with a wonderful blend of magic and reality. I just started Traci Chee’s The Reader (YA fantasy). I’m only a couple chapters in, but already I can tell I’m going to adore this book. The books I read influence my writing by introducing me to new things—from big things like passions or ideologies, to small things like snippets of setting or character—that may combine with my personal experiences and beliefs, and morph into something that pops up in my own stories. That’s a long-winded way of saying books shape who I am. The books I read also influence my writing by opening my mind to possibilities (story-wise and format-wise), breaking down the perceived you-can’t-do-that-in-children’s-books barrier. YA author A.S. King’s books were significant to me in that way—her mastery of blending “weird” with realistic fiction is inspiring and freeing. And verse novels that play with form have also influenced me this way. Reading is entertainment and enlightenment. It’s time travel and visiting new worlds. It’s walking in another’s shoes, and it’s knowing I’m not alone. I happen to think writing is fun, too! A big thanks to Shari for stopping by! 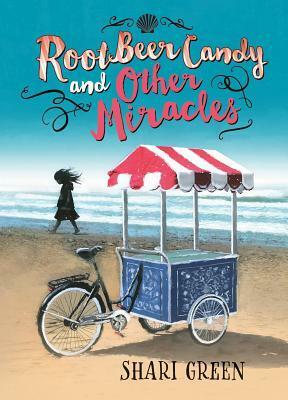 The pub date for Root Beer Candy and Other Miracles is October 16th, so be sure to pre-order your copy today. And, if you love MG like I do, be sure to sign up for the iLoveMG newsletter.